pluggy is the crystallized core of plugin management and hook calling for pytest. It enables 500+ plugins to extend and customize pytest’s default behaviour. Even pytest itself is composed as a set of pluggy plugins which are invoked in sequence according to a well defined set of protocols. It gives users the ability to extend or modify the behaviour of a host program by installing a plugin for that program. The plugin code will run as part of normal program execution, changing or enhancing certain aspects of it. In essence, pluggy enables function hooking so you can build “pluggable” systems. There are some established mechanisms for modifying the behavior of other programs/libraries in Python like method overriding (e.g. Jinja2) or monkey patching (e.g. gevent or for writing tests). These strategies become problematic though when several parties want to participate in the modification of the same program. Therefore pluggy does not rely on these mechanisms to enable a more structured approach and avoid unnecessary exposure of state and behaviour. This leads to a more loosely coupled relationship between host and plugins. The pluggy approach puts the burden on the designer of the host program to think carefully about which objects are really needed in a hook implementation. This gives plugin creators a clear framework for how to extend the host via a well defined set of functions and objects to work with. … where for each registered hook specification, a hook call will invoke up to N registered hook implementations. user: the person who installed the host program and wants to extend its functionality with plugins. In the simplest case they install the plugin in the same environment as the host and the magic will happen when the host program is run the next time. Depending on the plugin, there might be other things they need to do. For example, they might have to call the host with an additional commandline parameter to the host that the plugin added. Let us demonstrate the core functionality in one module and show how you can start experimenting with pluggy functionality. """My special little hook that you can customize.""" """A 2nd hook implementation namespace.""" Now let us demonstrate how this plays together in a vaguely real world scenario. Let’s assume our host program is called eggsample where some eggs will be prepared and served with a tray containing condiments. As everybody knows: the more cooks are involved the better the food, so let us make the process pluggable and write a plugin that improves the meal with some spam and replaces the steak sauce (nobody likes that anyway) with spam sauce (it’s a thing - trust me). naming markers: HookSpecMarker and HookImplMarker must be initialized with the name of the host project (the name parameter in setup()) - so eggsample in our case. naming plugin projects: they should be named in the form of <host>-<plugin> (e.g. pytest-xdist), therefore we call our plugin eggsample-spam. """Marker to be imported and used in plugins (and for own implementations)"""
"""Have a look at the ingredients and offer your own. :param ingredients: the ingredients, don't touch them! """Reorganize the condiments tray to your heart's content. """Here the caller expects us to return a list.""" """Here the caller passes a mutable object, so we mess with it directly.""" return f"Now this is what I call a condiments tray!" Now this is what I call a condiments tray! For more details and advanced usage please read on. A plugin is a namespace type (currently one of a class or module) which defines a set of hook functions. As mentioned in The Plugin registry, all plugins which specify hooks are managed by an instance of a pluggy.PluginManager which defines the primary pluggy API. In order for a PluginManager to detect functions in a namespace intended to be hooks, they must be decorated using special pluggy marks. Each decorator type takes a single project_name string as its lone argument the value of which is used to mark hooks for detection by a similarly configured PluginManager instance. That is, a mark type called with project_name returns an object which can be used to decorate functions which will then be detected by a PluginManager which was instantiated with the same project_name value. Furthermore, each hookimpl or hookspec decorator can configure the underlying call-time behavior of each hook object by providing special options passed as keyword arguments. The following sections correspond to similar documentation in pytest for Writing hook functions and can be used as a supplementary resource. A hook implementation (hookimpl) is just a (callback) function which has been appropriately marked. """Some other plugin defining the same hook. For another example see the hook function ordering section of the pytest docs. tryfirst and trylast hooks are still invoked in LIFO order within each category. A hookimpl can be marked with a "hookwrapper" option which indicates that the function will be called to wrap (or surround) all other normal hookimpl calls. A hookwrapper can thus execute some code ahead and after the execution of all corresponding non-wrappper hookimpls. should return json encoded config options. The generator is sent a pluggy.callers._Result object which can be assigned in the yield expression and used to override or inspect the final result(s) returned back to the caller using the force_result() or get_result() methods. Hook wrappers can not return results (as per generator function semantics); they can only modify them using the _Result API. Also see the hookwrapper section in the pytest docs. A hook specification (hookspec) is a definition used to validate each hookimpl ensuring that an extension writer has correctly defined their callback function implementation . hookspecs are defined using similarly marked functions however only the function signature (its name and names of all its arguments) is analyzed and stored. As such, often you will see a hookspec defined with only a docstring in its body. Registering a hookimpl which does not meet the constraints of its corresponding hookspec will result in an error. A hookspec can also be added after some hookimpls have been registered however this is not normally recommended as it results in delayed hook validation. By default there is no strict requirement that each hookimpl has a corresponding hookspec. However, if you’d like you enforce this behavior you can run a check with the check_pending() method. If you’d like to enforce requisite hookspecs but with certain exceptions for some hooks then make sure to mark those hooks as optional. To allow for hookspecs to evolve over the lifetime of a project, hookimpls can accept less arguments then defined in the spec. This allows for extending hook arguments (and thus semantics) without breaking existing hookimpls. The one exception to this rule (that a hookspec must have as least as many arguments as its hookimpls) is the conventional self arg; this is always ignored when hookimpls are defined as methods. A hookspec can be marked such that when the hook is called the call loop will only invoke up to the first hookimpl which returns a result other then None. This can be useful for optimizing a call loop for which you are only interested in a single core hookimpl. An example is the pytest_cmdline_main central routine of pytest. Note that all hookwrappers are still invoked with the first result. Also see the first result section in the pytest docs. This turns out to be particularly useful when dealing with lazy or dynamically loaded plugins. For more info see Exception handling. As projects evolve new hooks may be introduced and/or deprecated. if a hookspec specifies a warn_on_impl, pluggy will trigger it for any plugin implementing the hook. 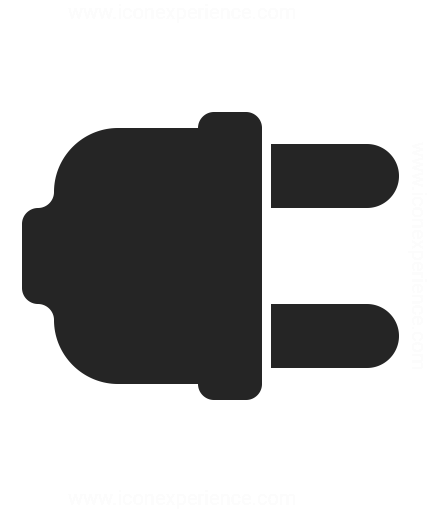 pluggy manages plugins using instances of the pluggy.PluginManager. The project_name value is used when a PluginManager scans for hook functions defined on a plugin. This allows for multiple plugin managers from multiple projects to define hooks alongside each other. Each PluginManager maintains a plugin registry where each plugin contains a set of hookimpl definitions. Loading hookimpl and hookspec definitions to populate the registry is described in detail in the section on Define and collect hooks. In summary, you pass a plugin namespace object to the register() and add_hookspec() methods to collect hook implementations and specifications from plugin namespaces respectively. You can unregister any plugin’s hooks using unregister() and check if a plugin is registered by passing its name to the is_registered() method. You can automatically load plugins registered through setuptools entry points with the load_setuptools_entrypoints() method. An example use of this is the pytest entry point. You can block any plugin from being registered using set_blocked() and check if a given plugin is blocked by name using is_blocked(). You can retrieve the options applied to a particular hookspec or hookimpl as per Marking hooks using the parse_hookspec_opts() and parse_hookimpl_opts() respectively. The core functionality of pluggy enables an extension provider to override function calls made at certain points throughout a program. A particular hook is invoked by calling an instance of a pluggy._HookCaller which in turn loops through the 1:N registered hookimpls and calls them in sequence. Every pluggy.PluginManager has a hook attribute which is an instance of this pluggy._HookRelay. The _HookRelay itself contains references (by hook name) to each registered hookimpl’s _HookCaller instance. Note that you must call hooks using keyword arguments syntax! By default calling a hook results in all underlying hookimpls functions to be invoked in sequence via a loop. Any function which returns a value other then a None result will have that result appended to a list which is returned by the call. The only exception to this behaviour is if the hook has been marked to return its First result only in which case only the first single value (which is not None) will be returned. A historic call allows for all newly registered functions to receive all hook calls that happened before their registration. The implication is that this is only useful if you expect that some hookimpls may be registered after the hook is initially invoked. Note that if you call_historic() the _HookCaller (and thus your calling code) can not receive results back from the underlying hookimpl functions. Instead you can provide a callback for processing results (like the callback function above) which will be called as each new plugin is registered. historic calls are incompatible with First result only marked hooks since only the first registered plugin’s hook(s) would ever be called. You can call a hook with temporarily participating implementation functions (that aren’t in the registry) using the pluggy._HookCaller.call_extra() method. You can make a call using a subset of plugins by asking the PluginManager first for a _HookCaller with those plugins removed using the pluggy.PluginManager.subset_hook_caller() method. You then can use that _HookCaller to make normal, call_historic(), or call_extra() calls as necessary. pluggy comes with some batteries included hook tracing for your debugging needs. To enable tracing use the pluggy.PluginManager.enable_tracing() method which returns an undo function to disable the behaviour. Instead of using the built-in tracing mechanism you can also add your own before and after monitoring functions using pluggy.PluginManager.add_hookcall_monitoring(). Please see the Api Reference. Great care must taken when hacking on pluggy since multiple mature projects rely on it. Our Github integrated CI process runs the full tox test suite on each commit so be sure your changes can run on all required Python interpreters and pytest versions. Pluggy uses Semantic Versioning. Breaking changes are only foreseen for Major releases (incremented X in “X.Y.Z”). If you want to use pluggy in your project you should thus use a dependency restriction like "pluggy>=0.1.0,<1.0" to avoid surprises.